Michigan's state university leaders respond to a single question. Work like this at the National Superconducting Cyclotron Laboratory at Michigan State University could grow by leaps and bounds thanks to a major $550-million Rare Isotope Beam facility project from the U.S. Dept. of Energy that landed there in December. MSU President Dr. Lou Anna Simon (inset) called it "a great day for science." our years of tuition at a Michigan public university costs about the same as a new mid-priced automobile." That's what two university presidents wrote in an October 2008 commentary in the Grand Rapids Free Press. The sentence, with its well-chosen car comparison, captures in a nutshell the state's economic predicament and its value. Another comparison was at play in a spring 2008 presentation by John C. Burkhardt, of the National Forum on Higher Education for the Public Good. Playing on the Great Lakes regional slogan that "water is the new oil," he closed his talk by asserting, "Smart is the new water." With those two quotes in mind, we turned in November to the Presidents Council, State Universities of Michigan, an organization designed to "advocate higher education as a public good and to promote its collective value in serving the public interest and the State of Michigan." Those 15 schools, shown on the map, collectively draw more than $1.5 billion in R&D funding each year into the state, and each plays a singular role in making its state more competitive. Michael Boulus, the Council's executive director, says the schools have increased the number of conferred bachelor's degrees by 6 percent over the past three years, to 40,473 in 2007. "Our public universities are doing a remarkable job of growing talent," says Boulus, "given the difficult circumstances of reduced state support and a shrinking pool of qualified high school graduates in our state. The 15 Michigan public universities are firmly committed to working together in a spirit of collaboration and cooperation to assist the state's transformation to a high wage economy dominated by employers who demand highly educated workers. We remain committed to increasing the number of public university graduates and boosting efforts to keep graduating students in our state." "Describe how your institution … whether through customized training, research partnerships, business parks, new university facilities, international outreach or other measures … is directly fostering corporate employment and/or facility growth in Michigan." Seven presidents or their institutional spokespersons replied, as did the Council's executive director. Derived from those responses, what follows is, at best, an abstract of the full-blown range of resources these institutions can offer corporations. But you might want to take notes anyway. Michigan State University may be identified with East Lansing, but its economic development reach extends everywhere in the state, over and above its own US$2-billion annual contribution to the state economy. Among a slew of projects, university relations spokesman Mark Fellows cites a recent $50-million federal grant that will help establish the Great Lakes Bioenergy Research Center at MSU; a partnership with Massachusetts biofuels company Mascoma Corp., which is working toward a $450-million, 500-plus-job cellulosic ethanol plant in Michigan's Upper Peninsula; and DuPont Applied BioSciences' recent extension of its research program with MBI International, MSU's biotech business accelerator. 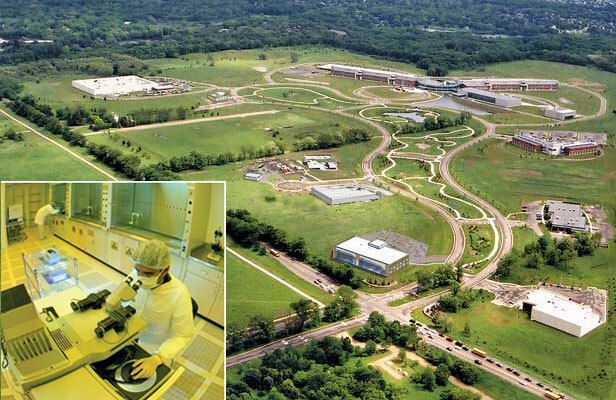 MBI is located at the south end of the 114-acre (46-hectare) University Corporate Research Park, collocated with the university's technology transfer organization, MSU Technologies. "Michigan State University has a strong and longstanding commitment to establishing strong working relationships throughout the state and here in our own community that promote economic growth and development," says President Dr. Lou Anna Simon. Among several forays in the biofuels sector is research work with Ford Motor Co. to develop advanced diesel engines for Ford Motor Co. "MSU's work-force development efforts include training residents for biofuel production jobs through the federal WIRED grant program, which also assisted MSU's drive to promote the earning of National Career Readiness Certificates via WorkKeys assessments, which are demanded for many positions by large employers including Dow Chemical Co. and United Solar Ovonics," reports Fellows. The school also maintains research and internship relationships with many multinationals, including Dow Chemical Co., based in Midland. Corporation as Learning Institution: Downtown Battle Creek is home to a branch of Western Michigan University, but what it's best known for is Kellogg Co., which is in the midst of a $54-million expansion of its W.K. Kellogg Institute for Food and Nutrition Research (above). Upon expected completion in fall 2009, the facility will encompass some 400,000 sq. ft. (37,160 sq. m.) of pilot manufacturing, lab and office space. In November, the company announced a further $85-million investment plan for downtown that includes construction of a $25-million office tower, which received city commission approval in December. "When we first started working with [consumer product manufacturer] Masco Corp. to create a leadership development program for their operations professionals, they were won over by two things: our faculty's deep knowledge of the subject area – supply chain management – and the faculty's willingness to roll up their sleeves and deeply understand their business problems," David J. Frayer, director of executive development programs for the Eli Broad Graduate School of Management at MSU, told Fellows in response to our question. "But the more we have worked with Masco, Kellogg, Steelcase, Amway or any of the other corporations we have here in Michigan, the more they tap into the advantages that MSU can offer them and the more they are able to appreciate how valuable our intellectual resources are." MSU's economic development leadership involves work with the Lansing Economic Area Partnership, as well as recently partnering with the city of East Lansing and other members of the Lansing Regional SmartZone to create the East Lansing Technology Innovation Center to help entrepreneurs develop high-tech ventures. It's also part of the University Research Corridor triumvirate (along with Wayne State University in Detroit and the University of Michigan in Ann Arbor) that collectively helped generate 69,285 jobs, educated more students than any of the nation's best comparable R&D clusters and produced $13.3 billion in economic impact in 2007, according to a URC report. That impact could increase substantially as 2009 commences: MSU on Dec. 11 was chosen over Argonne National Laboratory in Chicago for a $550-million U.S. Dept. of Energy investment in a new Facility for Rare Isotope Beams, a facility that will complement the university's National Superconducting Cyclotron Laboratory (NCSL) and esteemed physics program, and drive U.S. leadership in nuclear science research. 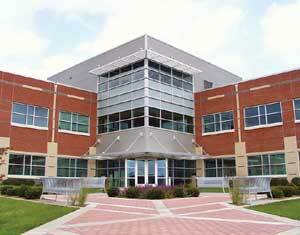 The NCSL itself recently added 10,000 sq. ft. (929 sq. 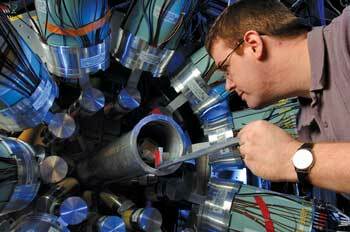 m.) to its complex, as well as a new linear accelerator for nuclear astrophysics experiments. "This is a great day for science," said President Simon, acknowledging that it was but the first step of many along the 10-year path of the project's construction, to be overseen by URS Corp. "We are grateful to the Department of Energy's commitment to address this critical priority for the nation's physical sciences research infrastructure, and we are proud to have been selected as a partner. We are deeply dedicated to working with the Department of Energy's Office of Science to develop an exceptional user facility serving the needs of national and international scientists." According to analysis by Anderson Economic Group, the facility is expected to bring $1 billion in economic activity and 400 jobs to Michigan. The selection is now subject to negotiation of a cooperative agreement between DOE and the school, as well as federal environmental review. In partnership with MSU and others, Saginaw Valley State University, located directly in the center of the three cities of Bay City, Saginaw and Midland, received a Workforce Innovation in Regional Economic Development (WIRED) grant from the U.S. Department of Labor in 2006 to focus on increasing economic development opportunities through entrepreneurship. SVSU is administering nearly $3 million (out of $15 million) over three years to catalyze job and business opportunities in sectors that have high-growth potential. To date, nearly 1,700 individuals in SVSU's six-county service region have completed or are currently participating in work-force education and training. "The University drives the economic development of the region not just through direct technical support for business and not just through the preparation of engineers and accountants, educators and health professionals," writes Dr. Eric R. Gilbertson, president of Saginaw Valley State University, in response to our question. "It also supports the improvement of K-12 schools and leads in the development of a vital cultural and intellectual life for businesses and the people they must recruit and retain to be competitive and successful." Home to Dow Chemical and the growing facilities of Hemlock Semiconductor, the tri-city area knows what industry is all about. So does its university. Hemlock and Dow were among regional employers who worked with 230 SVSU students in 2007-2008 via internships or co-op placements. And the school's certified independent testing lab has worked with more than 100 firms of all sizes. Brent Case, executive director of the SVSU's MidMichigan Innovation Center, says its support of start-up enterprises led to 19 new jobs in 2007. The school's partnership meant a lot to Dave Nugent, general manager of Huron Tool & Engineering in Bad Axe, whose firm worked with SVSU on lean methodologies, management training, succession planning, and market and product diversification: "It was a real learning experience," Nugent told the university spokesman responding to our question. "We couldn't have grown as we have without SVSU's involvement. We have increased sales by 50 percent and added 25 new employees in the past 15 months." Western Michigan University's 137-acre (55-hectare) Business Technology and Research Park has been the locus of healthy start-up activity since the departure from Kalamazoo of Pfizer five years ago, and is now looking for additional acreage. "Western Michigan University has a long tradition of applied or translational research, and over the past decade, we've been able to leverage that tradition to bring the discovery and commercialization sides of economic development together," responds WMU President John M. Dunn. "In West Michigan, particularly the Kalamazoo area, we have a century-old legacy of pharmaceutical commercialization. Working with our community partners, we were able to preserve the critical mass of personnel with that highly specialized expertise, support startups created by those individuals, and use University resources and contacts to give them direct access to discoveries with commercial potential from university labs around the nation. It's paying off. We have dozens of viable new businesses now growing in our community. Our focus as a research university is to partner with business and commercial entities to create jobs and opportunities and, thus, support the people of Michigan. Anything less is unacceptable." As Cheryl Roland, executive director of university relations at WMU, explains, the exit of Pfizer R&D five years ago could have been a death knell, but instead was transformed into new life, much of it centered around the school's 137-acre (55-hectare) Business Technology and Research Park. The area's "SmartZone" is recognized as the state's most successful, says Roland, because of its ability to retain and redirect Kalamazoo's significant population of life sciences commercialization specialists in a public research university atmosphere. "The park has narrowly defined three areas of specialty – advanced engineering, information technology and life sciences," writes Roland. "University officials have no problem offering polite rejections to companies in other industries, but work hard to keep them in the area as well. Park development began in 2000, but ramped up significantly in 2003. Today, with a nearly full house, the University is looking for additional acreage." 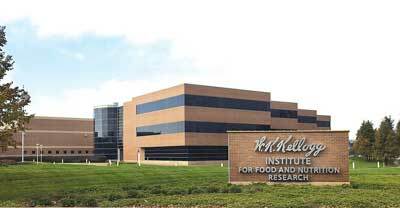 The park works hand in hand with an incubator unit of local economic development agency Southwest Michigan First, as well as WMU's Biosciences Research and Commercialization Center, which have supplied support and assistance to 17 and 18 companies, respectively, since 2003. The success of the park and life sciences initiatives at WMU has resulted in the direct creation of 645 jobs with annual payroll of $24 million and annual company revenues of more than $180 million. Roland says Michigan Gov. Jennifer Granholm came to the park late last year to celebrate the opening of a new corporate headquarters for Kalexsyn, one of the startups that, with the help of BRCC funding and equipment funneled through WMU, had outgrown the incubator and was opening its own 20,000-sq.-ft. (1,858-sq.-m.) facility. After just four years, the firm had gone from a startup run by two former Pfizer scientists to a company with 24 employees and annual sales of nearly $3 million. "This is an example of how Michigan can rise from extremely challenging economic circumstances," Granholm said that day. "It is time for this state to get to drink a bit of the Kalamazoo water." Just up the road is Grand Rapids, one of the bright spots for corporate facility development in the state over the past year. 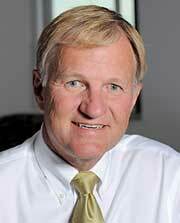 "Grand Valley's School of Engineering is one of the areas where the university most directly interfaces with private industry," writes Grand Valley State University President Dr. Thomas J. Haas, chair of the Presidents Council. ""Our engineering curriculum is directly tied to the needs of area industry and is grounded in hands-on activity. With its focus on problem solving and ethical community service, our students help provide the innovations that will drive our economy in the future." That school's capstone program has engaged with such major companies as Magna Donnelly, Haworth and L-3 Avionics. One participant, Mill Steel of Grand Rapids, annually recognizes one steel supplier and one non-steel supplier as suppliers of the year for the company. In an unusual move, says Grand Valley communications specialist Brian Bowe, the company selected Grand Valley State University as its non-steel supplier of the year thanks to the talented students and alumni it has recruited. Grand Valley is home to two state-created SmartZones: the West Michigan Science and Technology Initiative (WMSTI) in Grand Rapids and the Michigan Alternative and Renewable Energy Center (MAREC) in Muskegon. Bowe reports that a company has announced its intention to purchase one of WMSTI's tenants, CMM, and bring more than 500 jobs to the region by 2013. "In 2007," writes Bowe, "MAREC opened a $2.7-million manure-to-electricity plant at a dairy farm in Ravenna. One outcome is that the project's general contractor, Reynolds Inc., is partnering with the Austrian firm Entec Biogas GmbH, which developed the technology for the biodigester plant. The companies launched a new division, based at MAREC, which hopes to build more of these plants in the U.S. Also, MAREC's executive director Imad Mahawili invented a small, inexpensive wind turbine that could revolutionize home and commercial power generation and create West Michigan manufacturing jobs." At Central Michigan University in Mount Pleasant, the Central Michigan University Research Center (CMURC) offers a technology park encompassing more than 300 acres (121 hectares), an incubator and an advanced analytics and consulting group called Business Insight, all located in one of the state's 15 SmartZones. 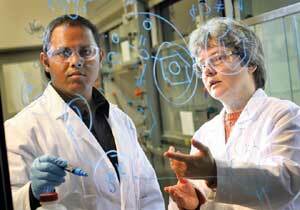 In a CMURC research lab, Central Michigan University Chemistry professor Anja Mueller works to find a solution with Materials Science graduate student Syed Ashraf. "While our focus is on the market sectors of alternative energy, water remediation, health information and medical devices, we're also expanding our technology platforms into areas such as nanotechnology, information technology and advanced materials," says CMURC CEO Ken Van Der Wende. At two of the highest latitudes in the Upper Peninsula, Lake Superior State University in Sault Sainte Marie and Michigan Technological University in Houghton are setting high marks all their own, starting with their leadership in aquatic and environmental research. But the latest Laker news, writes LSSU President Rodney L. Lowman, is the recent establishment of a prototype development center (PDC) and the state's newest SmartZone, the latter effort in partnership with the City of Sault Ste. Marie. Lowman says the zone will focus on injection-molded plastics, precision-machined surgical tools, precision bearings and electronic manufacturers, and robotics. "The LSSU PDC has been quite busy since its establishment on campus a year ago," he says, "working with about 90 clients and prospective clients including on innovative and entrepreneurial inventions." "Michigan Tech was instrumental in establishing the Michigan Tech Enterprise Corporation (MTEC) SmartZone, a business incubator that supports the establishment and growth of high-tech business and industry in the cities of Houghton and Hancock, home of Michigan Tech," writes President Glenn D. Mroz. "Since it opened its first incubator facility in 2005, the MTEC SmartZone has successfully attracted 15 new or expanded businesses employing approximately 160 people and creating an additional 500-plus spin-off jobs." As reported in these pages in early 2008, GE Aviation has signed a five-year lease to establish a University Development Center that will draw from emerging engineering talent at Michigan Tech, creating 50 jobs. Ford Motor Co. maintains a similar IT development center in Houghton. Michigan Tech is the officially designated University Partner for three of six Centers of Energy Excellence funded by the Michigan Economic Development Commission in 2008. "The Centers of Energy Excellence are a new model of public-private industry-university partnerships that directly tie university research to economic development," writes Mroz. 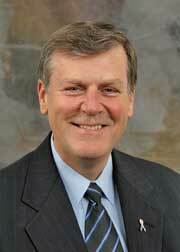 "They will spearhead Michigan's leadership in development of alternative energy industries." The state is also authorizing the school to spend $25 million to build a new Great Lakes research center along the Portage Canal on campus, adding eight labs directly next to the Dow Environmental Sciences and Engineering Building. "Freshwater issues are among the most pressing problems facing the world," said Mroz at the project's announcement in September 2008. "The interdisciplinary work that Michigan Tech researchers will do in this new research center on all aspects of Great Lakes water has implications for freshwater management far beyond Michigan. What we learn there will be valuable worldwide."